We are delighted to announce that the Biobanks Europe Magazine No. 7 is out. 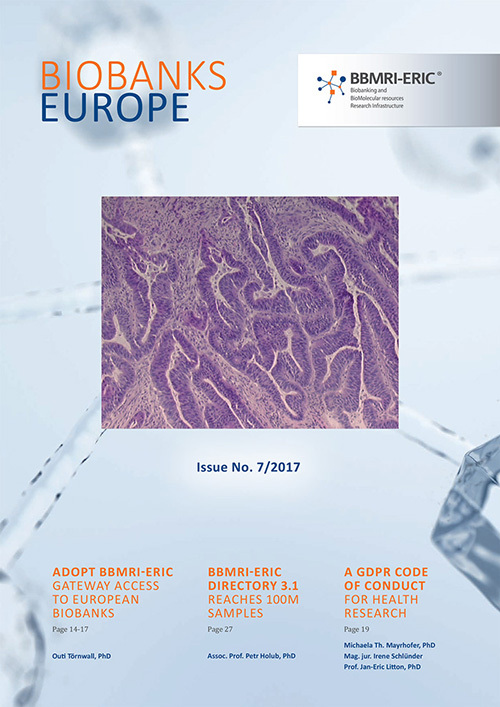 If you have always wondered what the ADOPT BBMRI-ERIC project is all about, if you haven’t heard the news on the Directory 3.1 reaching 100m samples, and if you are wondering how the upcoming GDPR is going to affect health research, look no further. Our new Biobanks Europe Magazine will give you all the information that you need.